An Airbus A319 was involved in a low fuel emergency at Milan, Italy as a result of poor diversion coordination. On 2 May 2010, Lufthansa Italia flight LH1835 departed from Budapest, Hungary at 19:45 to Milan Malpensa, with 5800 kg of fuel. There were 93 passengers and six crew members aboard the Airbus A319, D-AKNH. During the approach to runway 35R at Milan-Malpensa, while descending through 3000 feet, the aircraft encountered strong windshear, characterized by an initial tail wind component of 20 knots and a subsequent headwind component of 20 knots while passing 2000 feet. The approach was considered unstabilized and the captain decided to perform a go around. At 21:05 Milan ACC instructed the flight to climb to 6000 feet, heading 150 °. Because of weather conditions, the climb was arrested at 5000 feet with permission from Milan ACC. The next two flights also carried out a missed approach procedure due to windshear. While holding for the weather to improve, the crew of the flight 1835 requested permission from Milan ACC to divert to Milan-Linate Airport. ACC Milan contacted Linate Tower immediately. While Linate Tower coordinated things with the Duty Manager and ground handling agent, flight 1835 contacted Milan ACC several times, reporting a precarious situation of fuel available. At 21:30, while Milan ACC was still awaiting an answer from Linate Tower, the flight crew reported that within two minutes they would declare a low fuel emergency. At 21:32 the flight received vectors for an ILS approach to runway 36 at Linate. Two minutes later, while 13 NM from Linate Airport, the crew radioed “Mayday” due to low fuel, stating that they had fuel remaining for 30 minutes of flight. Immediately after the aircraft was allowed to turn left inbound to Milan Linate. The aircraft landed without further problems at 21:42. There was 1100 kg of fuel remaining after arrival. The ANSV concluded that the Milan-Linate airport operator failed to approve the request to divert in a timely manner. 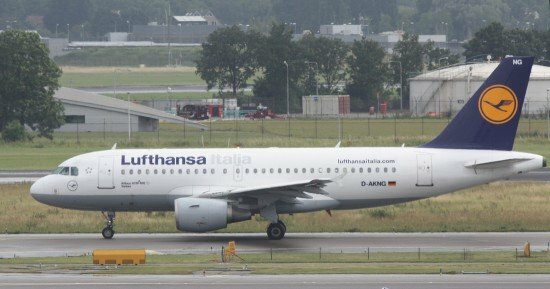 The coordination with the ground handling agency for Lufthansa Italy, who initially wanted the flight to divert to Turin. was poor.